The Elements collection offers the freedom of choice in lighting design. Start with the style selection - pendant, mini pendant, or wall sconce - then choose the right shape, square or circular, for the space. 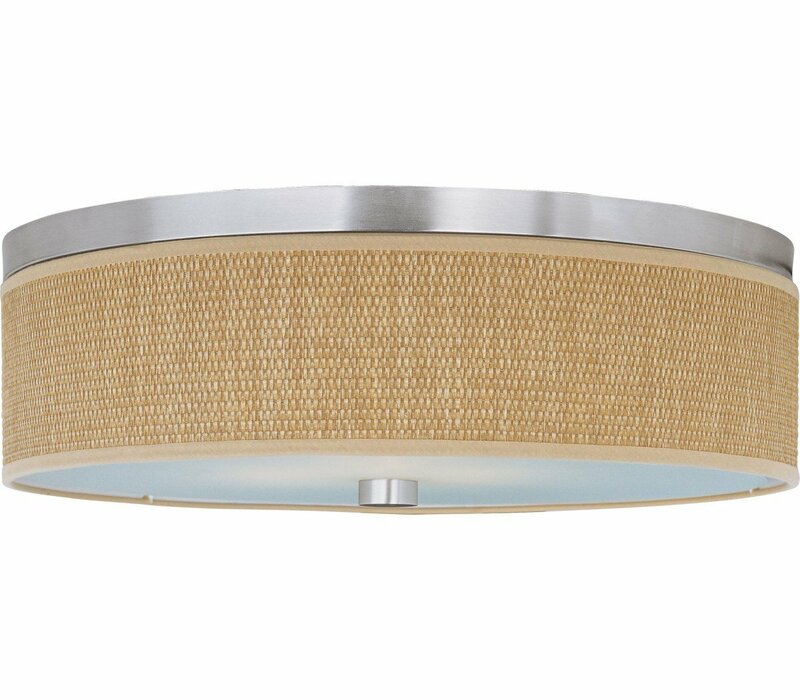 Wrap the selected Oil Rubbed Bronze or Satin Nickel lamp in one of five color options that will make just the right statement: Grass Cloth, White Weave, White Pleat, Crimson or Satin White. Finally, choose the perfect light source for the task. Whether fluorescent, xenon, or incandescent, this collection brings together all the right elements. The ET2 E95104-101SN Elements collection Close to Ceiling Lighting in Satin Nickel uses Fluorescent light output and brings Contemporary style. The total wattage is 54 and the voltage is 120 volts. The ET2 E95104-101SN requires 3 bulbs (included). Additional Information: Shade-Grass Cloth Linen Shade.